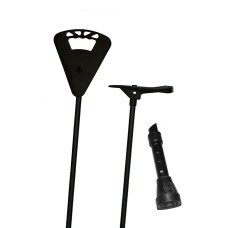 The Original Adjustable Flipstick has been specifically designed for the multiple users or to be given as a gift. 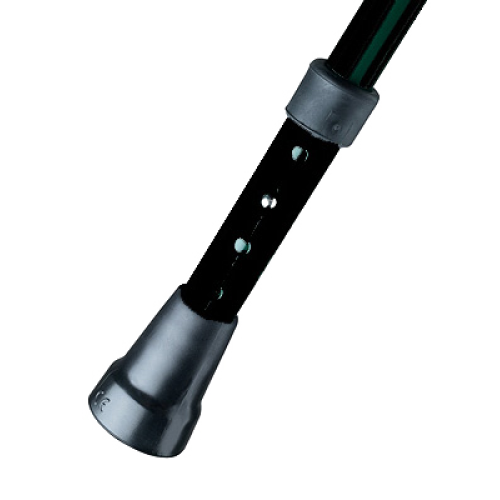 This stick has a robust adjustable section which allows the user to vary its length by a further 2.25” in three .75” increments. 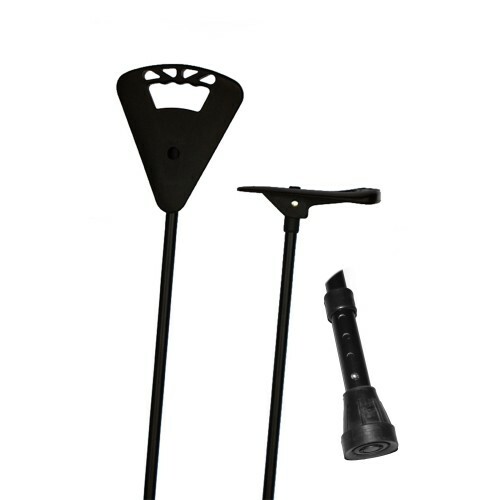 The Original Adjustable is a dual purpose walking stick/seat, consisting of a tubular non-folding aluminum Flipstick Fold-Away, Adjustable stem and a non-slip rubber foot suitable for indoor and outdoor use. 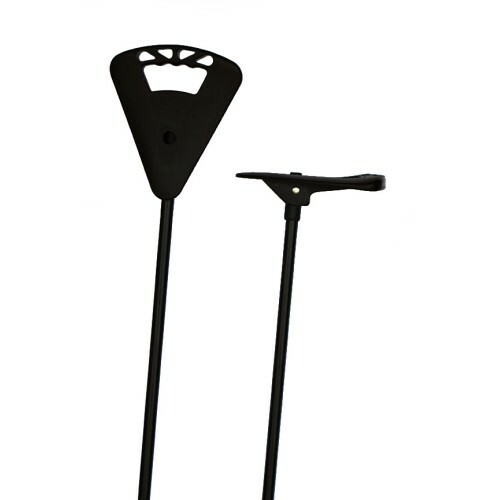 A comfortable plastic seat/handle includes a spring-loaded button that securely locks the seat/handle in either the walking or sitting position. As a seat, it transforms a person into a very stable tripod. Lightweight to carry and yet capable of safely supporting 280 pounds.